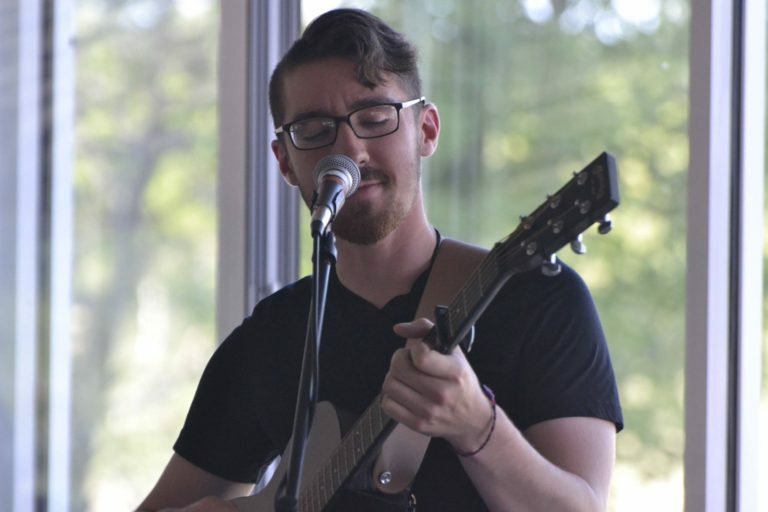 A blend of powerhouse vocals, poetic lyrics, and melodies to soothe the soul... Logan Callahan is a musician who seeks to blur genre lines while performing, switching from radio pop to '90s grunge covers in a single set. His original music seeks to accomplish this same feat by avoiding labels and letting every tone speak for itself. With influences ranging from Jeff Buckley to Chris Cornell and a hint of Prince, Callahan is sure to keep audiences on their toes. For this year’s festival, Logan has put together a very special one-off trio of himself, Ian Flanigan and Josh Mitchell of For No One for a special performance. Logan Callahan is currently working on material for his second album all the while broadening the moods and style of his music to give everyone something to enjoy.